Join the Queen Mary Events Park on May 11 for Waterfront Cook-Off, an all-new BBQ and chili competition where no matter who takes home the trophy, everyone wins! 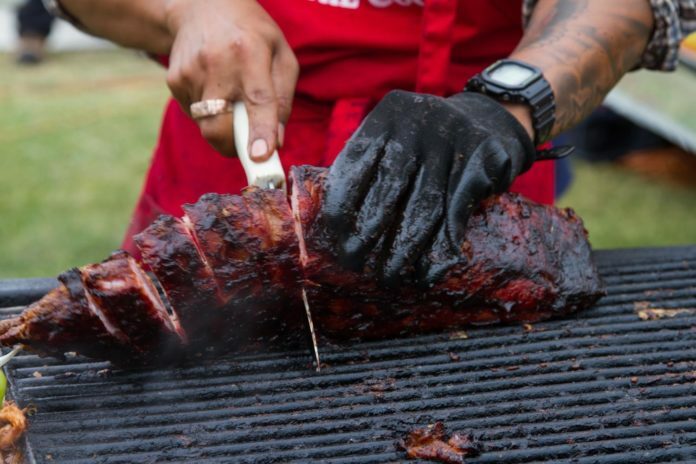 Watch as SoCal’s top BBQ pitmasters and chili experts compete for trophies, $10,000 in cash prizes, and the highly-coveted People’s Choice Award. Whether you are a barbecue enthusiast or simply a foodie fan, Waterfront Cook-Off offers something for everyone. In addition to the BBQ and chili tastings, guests will be able to enjoy delicious corn, funnel cakes, and a variety of other treats. The game zone will offer giant Connect 4, beer pong, horse shoe toss, ladder ball, corn hole, and a mechanical bull ride. Groove to the beats of DJ Rod Epic and DJ Cordova, or enter the watermelon eating contest or pie eating contest in the afternoon for a chance to win cash and prizes. Tickets start at $23.00 (without food tasting tickets included). General Admission with five food tasting tickets cost $35.00. To learn more about the Queen Mary and other upcoming events you can click here.